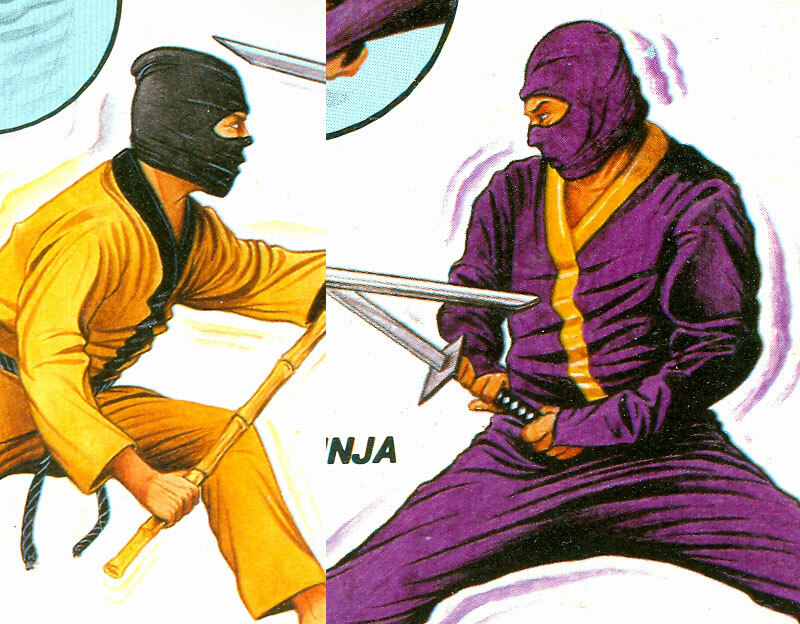 One of my favorite long-gone toy manufacturers was Remco, who in 1984 gave us one of the craze’s most well-rounded figure lines — Secret of the Ninja. Remco of the 60’s was an aggressive licensor with all sorts of A-list properties adapted for toy shelves — Star Trek, Beatles, Lost in Space, Batman and more. 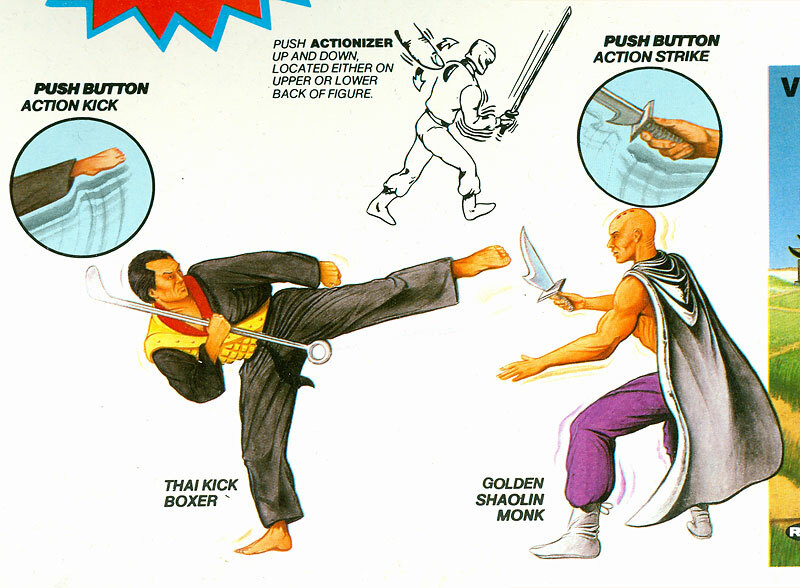 The Remco of the 80s, post bankruptcy and sale to competitor AHI/Azrak, was one of those companies producing the weird B-and-C-grade lines you’d find in weird indie toy stores and back corners of hardware shops and pharmacies. When G.I. Joe hit, they made Sgt. Rock, it was Hercules and Conan against Masters of the Universe, AWA and WCCW wrestling instead of WWF, Mighty Crusaders in the midst of Marvel Secret Wars and DC’s Super Powers. These licenses cost less, but also sold less, so once in a while they’d try to create an original line that, lacking licensing fees, didn’t start them in the hole. 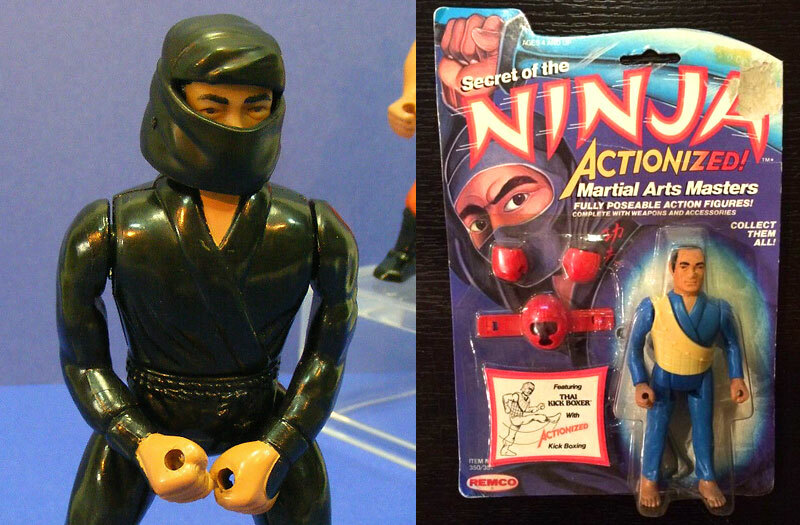 Secret of the Ninja was the best of these, and done at just the perfect time. 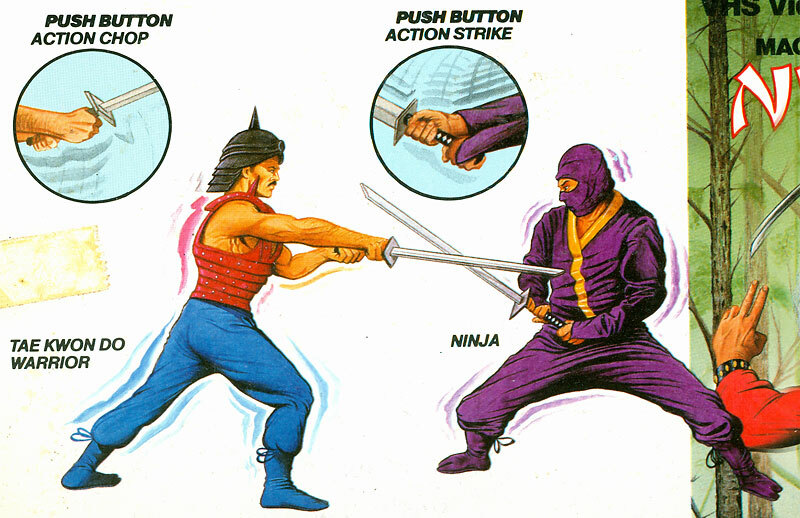 While called “Secret of the Ninja” the line was hardly confined to the shadow soldiers. 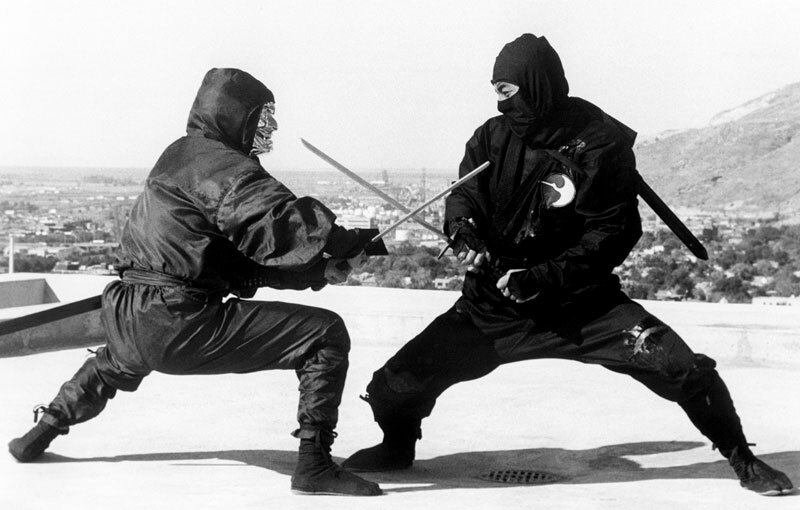 Myriad martial arts disciplines and historical warrior classifications were represented — kung-fu monks, samurai, modern karate and tae-kwon-do masters and more. 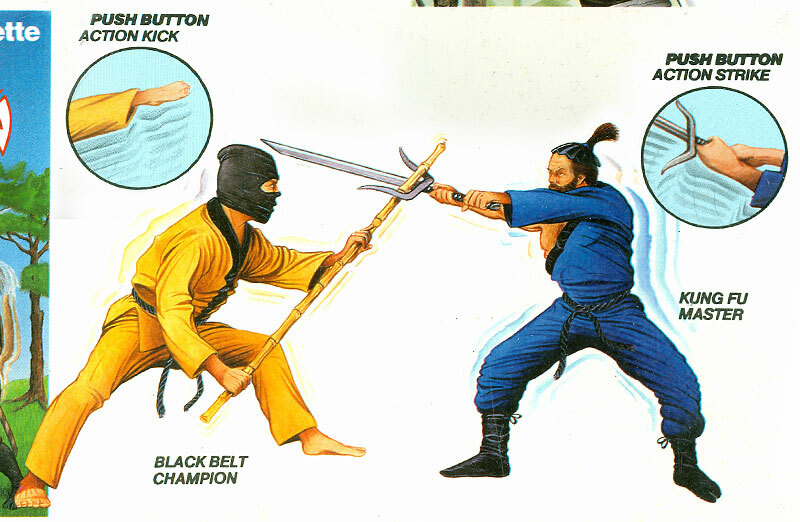 This made the line almost fad-proof — if ninja toys started falling flat, there were enough vaguely barbarian-like and mystical fantasy-looking figures to appeal to multiple tastes. 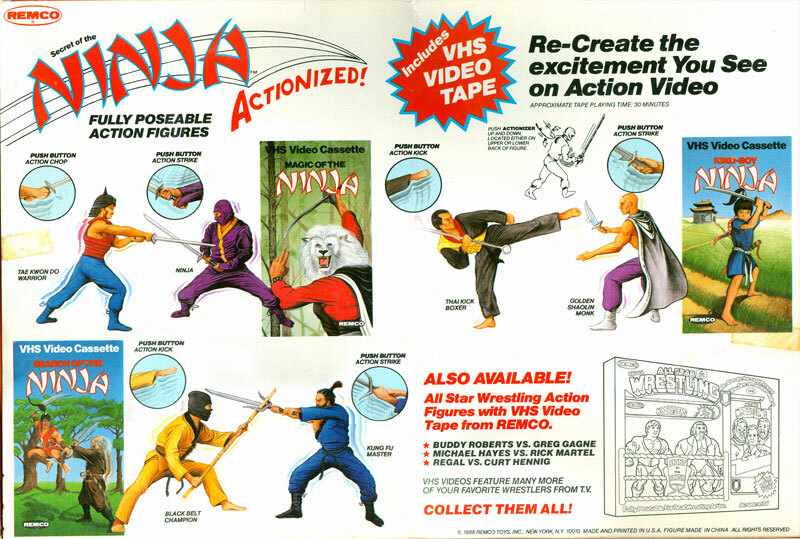 We’ve previously posted on the VHS tapes Remco included with multi-figure boxed sets (READ HERE). 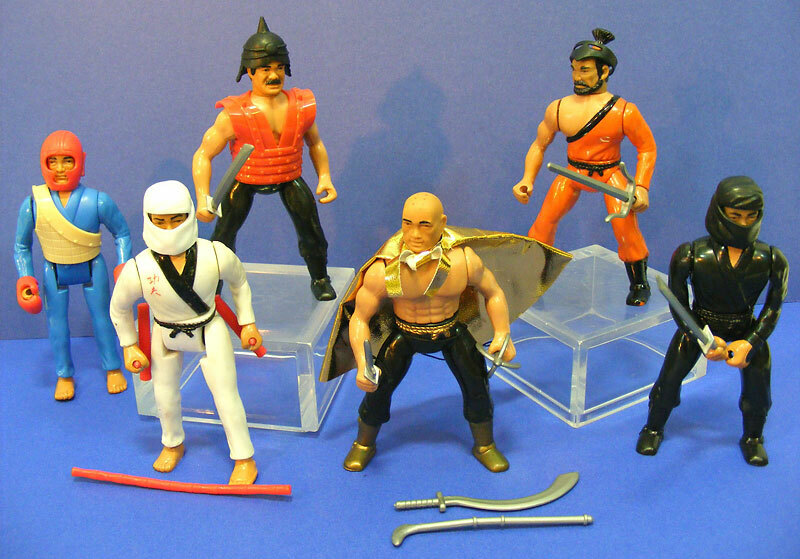 Between the half-hour adventures of Lion Maru, Kamui and Watari and the notion of Ninja vs. Thai Kick Boxer duels, a kid was in plastic combat heaven.